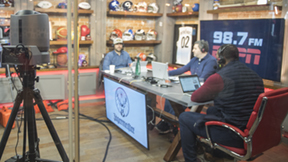 On March 14, Rick DiPietro, Chris Canty and Dave Rothenberg took the show on the road to VERSA in midtown, just steps away from MSG, as the Big East Tourney got under way. 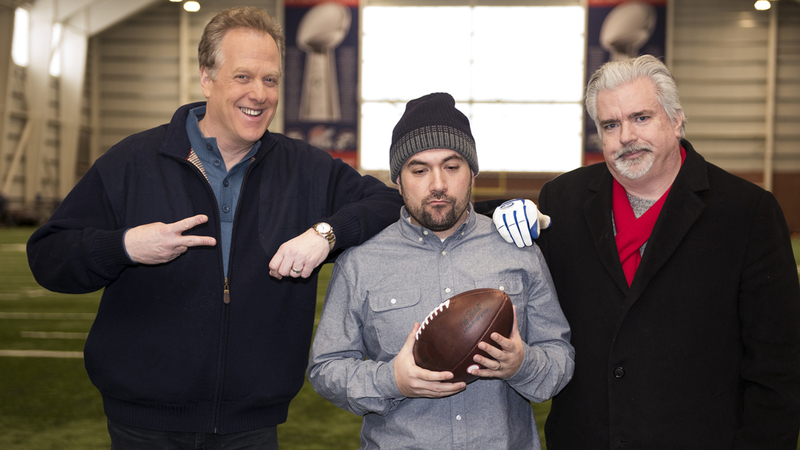 Take a gander at photos from Peter Rosenberg's attempt at three (3) twenty-three-yard field goals and the kindness and support provided by his co-hosts on The Michael Kay Show. Anita Marks breaks down the first three rounds of the Masters and previews the final 18 holes. Can Tiger pull it off? Anita weighs in on 98.7 ESPN. 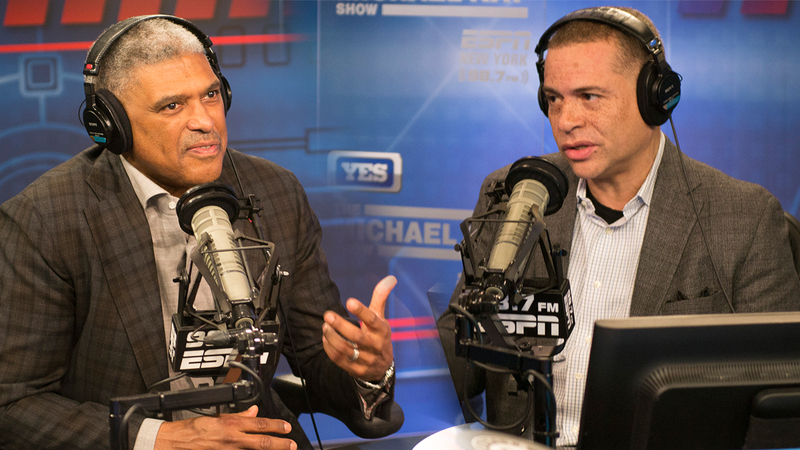 Larry talks about CC Sabathia's return to the Yankees, and the Nets first game against the 76ers in the NBA Playoffs. Anita Marks discusses the first two rounds of the Masters on 98.7 ESPN. Plus, what's going on with the Lakers? Dave Rothenberg's Mets are off to a great start at 94, while the Yankees are ridden with injuries. 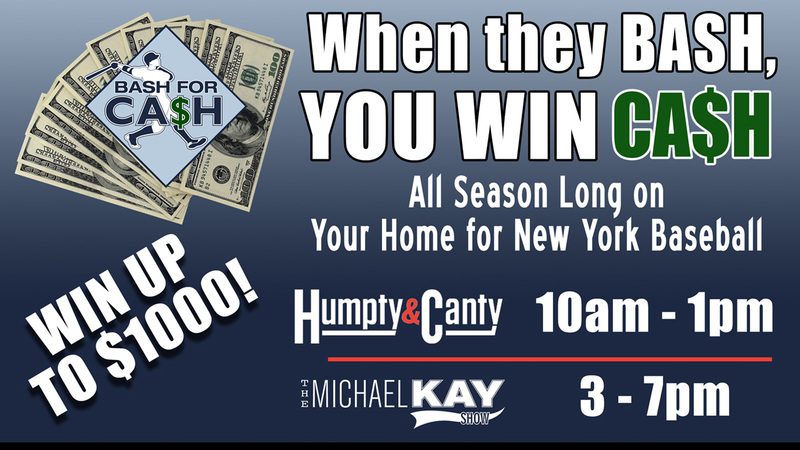 Plus, the NBA Playoffs tip off today. Dave breaks it down on 98.7 ESPN. 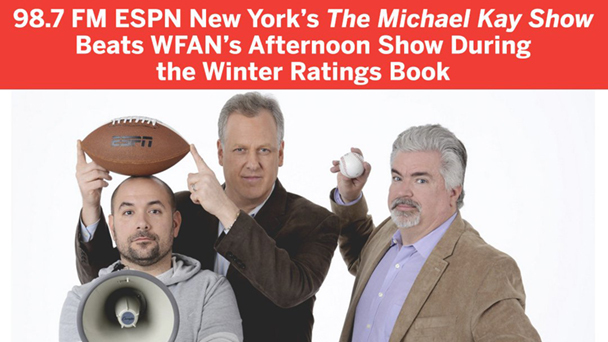 Find out how you can partner with 98.7 ESPN and ESPNNewYork.com.